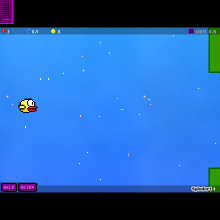 Its flappy! The endless game of flapping through pipes. Ho many can you get? Post your comments in the comments below.